Born in West Yorkshire, Lee is a dance teacher, choreographer, producer and artistic director who has been working professionally in the dance sector since 1997. 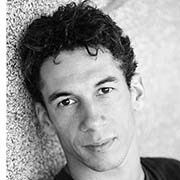 Lee trained at the Rambert School of Ballet & Contemporary Dance and Swindon Dance. A core member of Matthew Bourne’s Adventures in Motion Pictures & New Adventures companies for many years, he toured internationally as dancer, teacher and rehearsal assistant. He later contributed to the Re:Bourne, and became a Resident Artist in June 2015 for there and New Adventures. He helps to devise workshop content, deliver teacher training, creative intensives and choreographic projects. As a teacher and choreographer he has worked both freelance and on behalf of many organisations including Trinity Laban, Rambert School, The Place, Essential Alston, Dance City, Swindon Dance, Pavilion Dance, Dance United and most recently in Brazil for Escola De Danca (Sao Paulo) and Lia Rodriguez and Cia Urbana de Danca (Rio). Lee is the Artistic Director of Shoreditch Youth Dance Company (SYD) which he founded in January 2010. SYD Company is recognised for its pioneering approach to working with young dancers and is one of the few member led, independent youth based companies in London. He was the Associate Artist in Residence at Rich Mix, where in November 2011 he founded ‘Free to Fall’, an Artists Development Programme for emerging choreographers based around a now popular movement ‘scratch’ event and forum. Free to Fall took place in Malmo, Sweden and had its 5th edition in Sao Paulo, Brazil. Most recently, he was appointed Principal and Artistic Director of Legat School of Contemporary Dance and Ballet in June 2016. Lee also works as a freelance producer and project manager with Renaud Wiser Dance Company, Charlie Ford, Melanie Lomoff, Compagnie T’d-U and Khamlane Halsackda. He has been working with John Ross as Creative Producer since 2013.